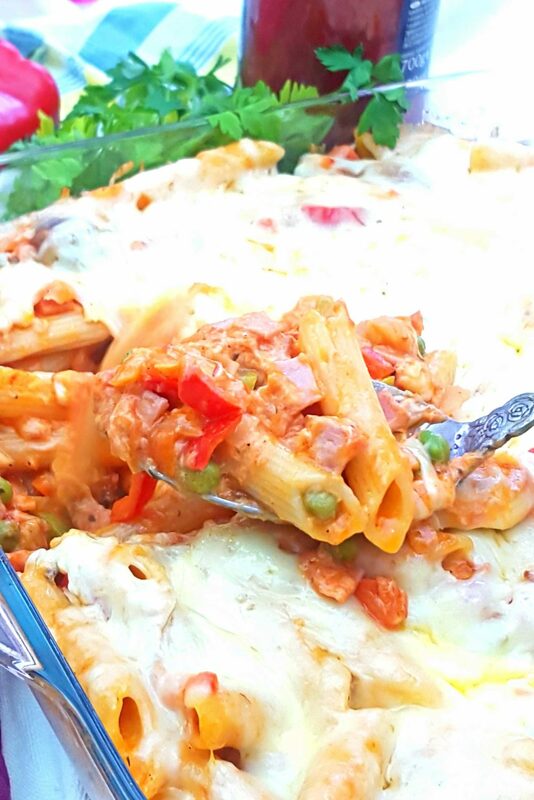 Savor your favorite pasta dish fresh out of the oven with this delicious creamy baked pasta recipe! 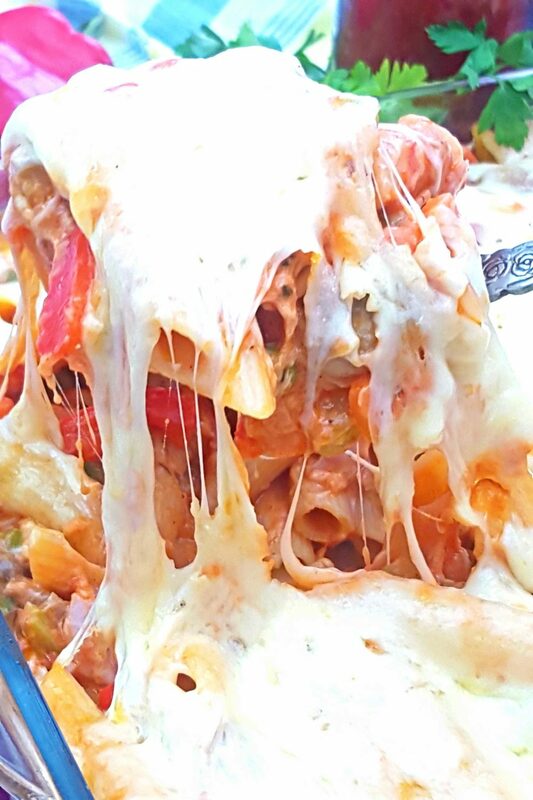 Nothing says comfort food better than a cheesy pasta bake recipe! 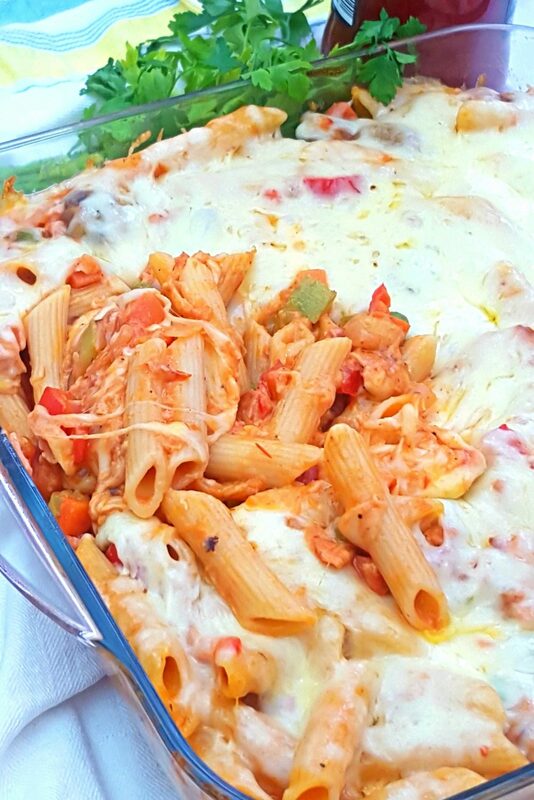 When I made this creamy baked pasta, I never expected it to turn out this amazing! 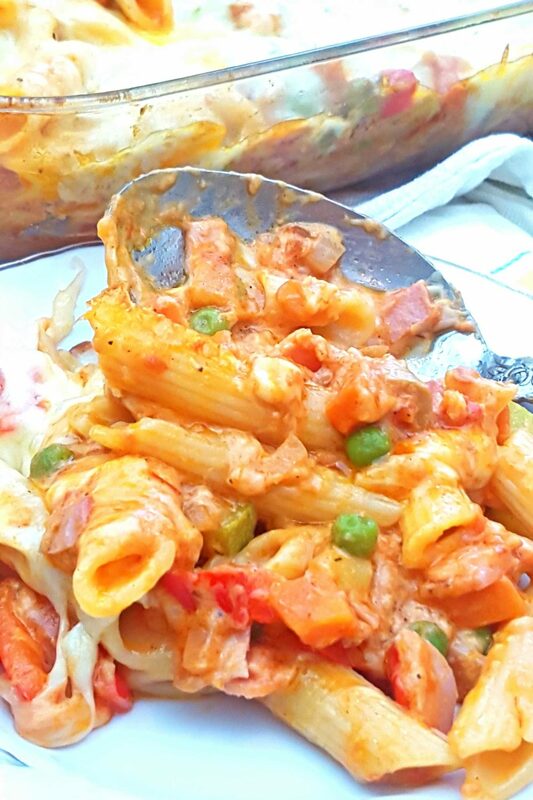 It was supposed to be just a regular pasta dish but a couple of secret ingredients made this otherwise simple and easy creamy tomato pasta bake absolutely fabulous! When I say secret ingredients I mean stuff I don’t normally use in any pasta recipe. 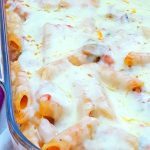 This creamy baked pasta was my very first but definitely not the last, this dish is now our most favorite pasta recipe! I only used these two secret ingredients because I decided to try and live a little bit more frugally for the week. So I try to use all the stuff in my pantry before purchasing new food. And this is how these two ingredients became a big part of the plan, when just a few minutes before they were doomed to hit the garbage bin as I thought they’ve gone bad. I love using my own tomato vegetable sauce for all pasta dishes so I used lots of red long peppers, cousa squash, onions, mushrooms and of course tons of garlic (I’m a sucker for garlic!). 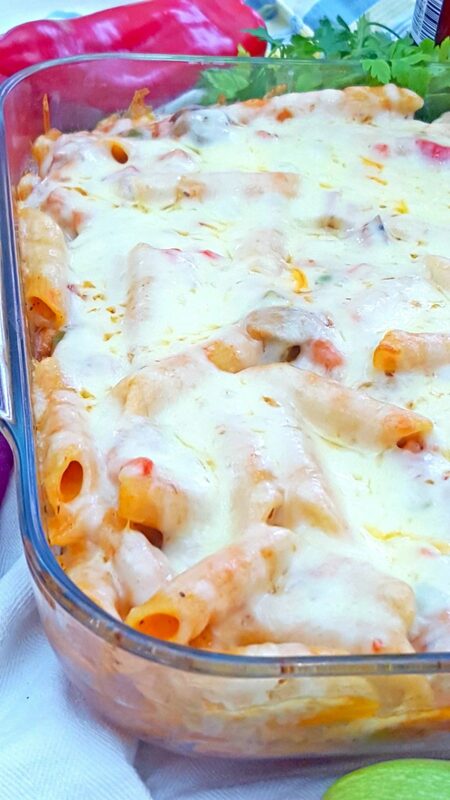 The two secret ingredients not only added extra flavor but made this cheesy pasta bake recipe so creamy and thousand times more savory. And those ingredients are…ta-da! !…smoked ham and sour cream! I know, I know, they’re not so secret, I already gave you a little hint about the ham at the beginning of this article. 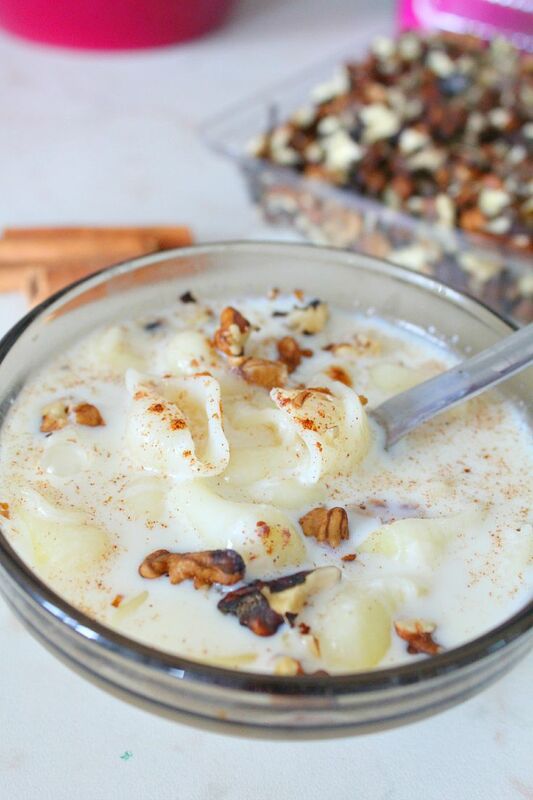 But I’m pretty sure you never expected sour cream as an ingredient in a pasta dish. Meanwhile dice and slice vegetables. Heat oil in a skillet and saute onions until slightly soft. Add the rest of the veggie, except for the peas and carrots. Saute until slightly soft then add carrots and peas and saute for 2 minutes. Add garlic and cook for 1 minute or until garlic is fragrant. Add tomato sauce salt, pepper basil, thyme and mix well. Remove skillet from oven. In a non stick skillet, cook smoked ham until slightly brown. When pasta is cooked, drain well and place in a large bowl. 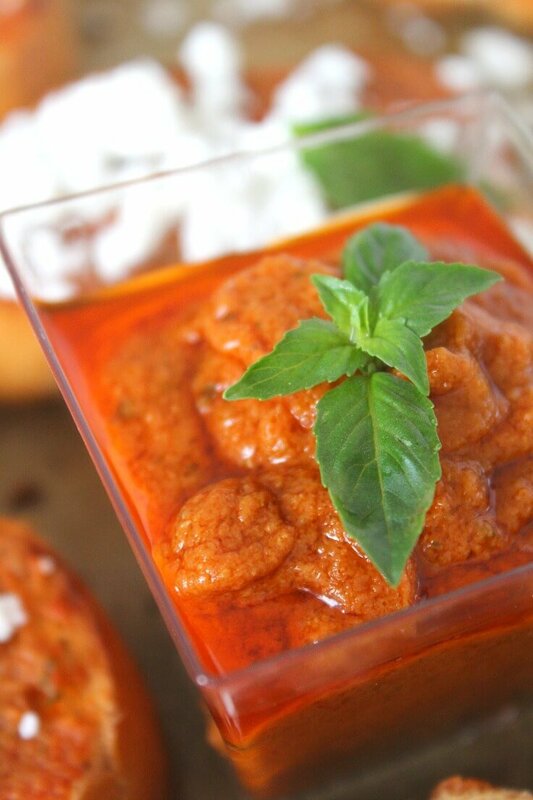 Pour the tomato vegetable sauce over then add ham and mix well. Fold sour cream in using a bamboo spatula. Add 2 cups cheese and mix well. Place all in a baking dish and sprinkle the remaining cheese over. 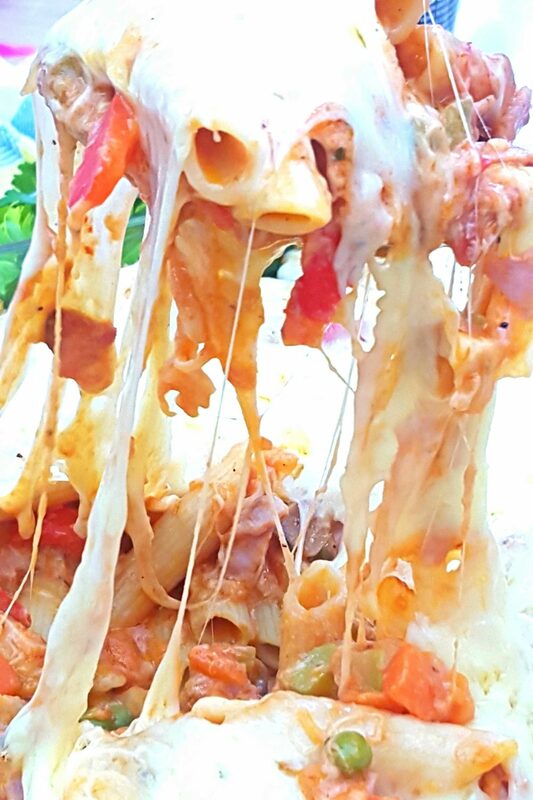 Bake for about 20 minutes or until the cheese is melted.